Of course, as they lie to us, they must censor us too. They are in it to win it. It is really easy to see that America, land of the free, really isn't so free. The media is the control mechanism of the Deep State who answers to the Elite with an end game to bring about the NWO. They lie, murder, cover up, whitewash, conceal, steal and do the bidding of those who worship Lucifer. "They" are monolithic. It's all there for anyone to research on their own and connect the dots. The bible prophesied a time when the world would be lead by an antichrist figure under a one world government...and the majority of the world will fall for his lies. They will clamor for his Mark on their own bodies. Because we are living in these prophetic times, the conditioning of all of this is evident today everywhere. Standing in the way of this evil plot is of course true Christianity, Capitalism and the U.S. Constitution which is why all three are constantly being attacked and undermined. They must be destroyed or at the very least compromised and watered down for the NWO to see its full, but short lived luster. -W.E. Throughtout social networking, conservatives and independents are being censored at unbelievable rates. 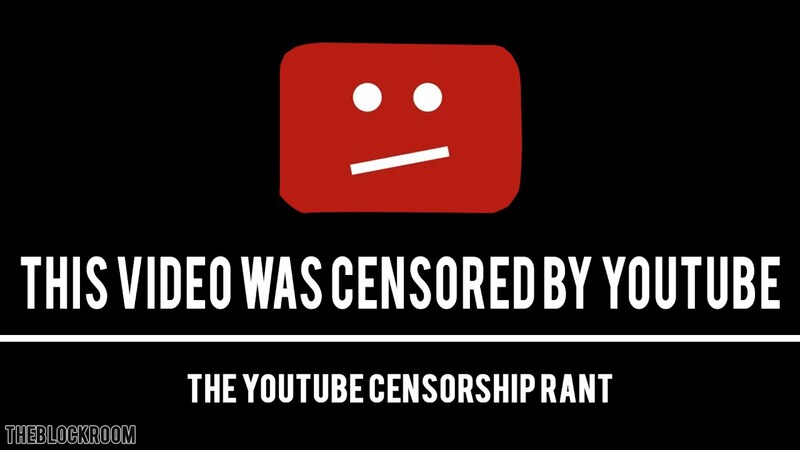 Youtube, Facebook, and Google, in the name of social justice, say that much of conservative content is too extreme and controversial. What that really means is that it does not fall within the liberal agenda. These three social giants are controlling the narrative and muzzling the right from having any voice. They cannot handle the truth. The move follows YouTube’s announcement earlier in August to catch and flag “controversial religious and supremacist” content hosted on the popular video-hosting website. Political and social commentators on YouTube are feeling the hurt—and they believe that they may be on a blacklist for having the wrong opinions. The Daily Caller previously spoke to several popular commentary YouTuberswho expressed skepticism of the system when the move was first announced last week. The Daily Caller spoke to conservative and independent YouTubers whose channels are now being affected by the new policy. Conservative journalist Lauren Southern believes there is a drive to stifle politically divergent voices.